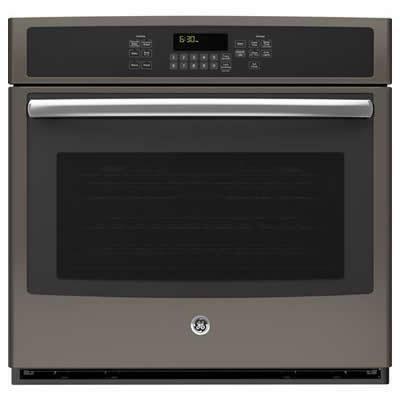 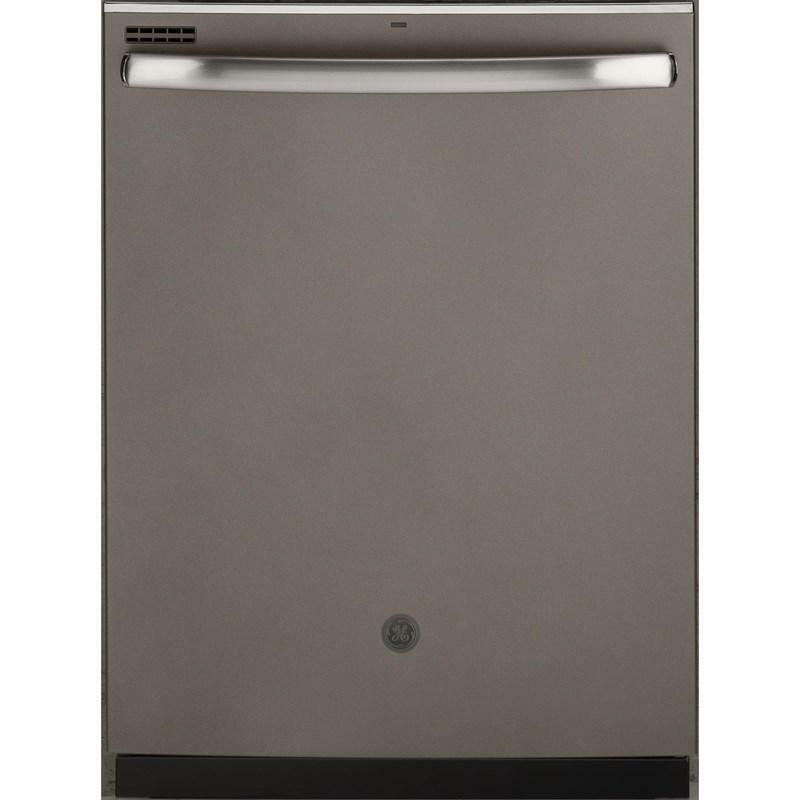 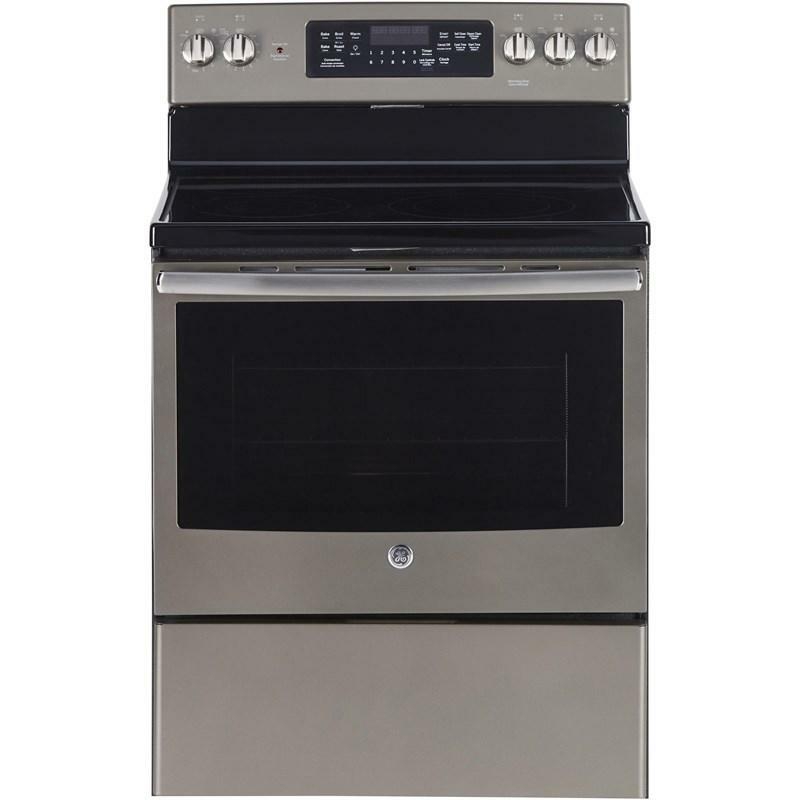 This GE freestanding electric range with an oven capacity of 5.0 cu. ft. features an overall width of 30" and hot surface indicator lights. 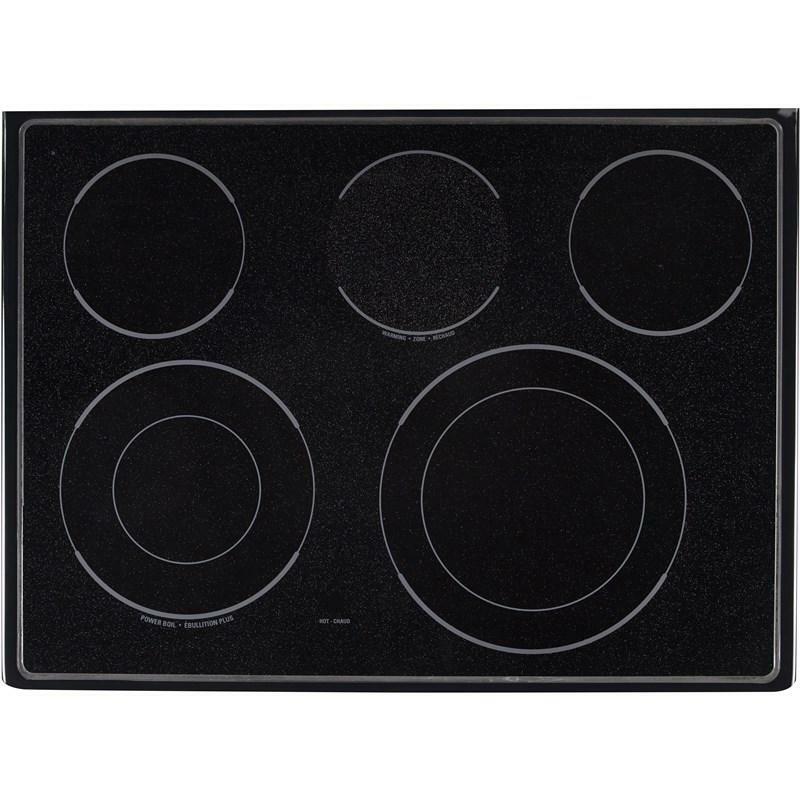 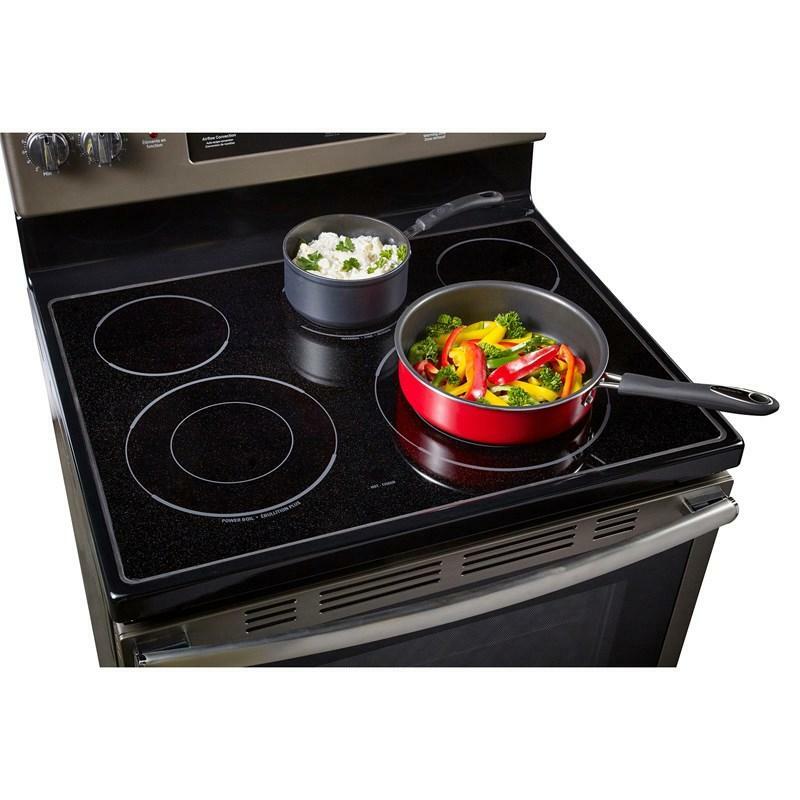 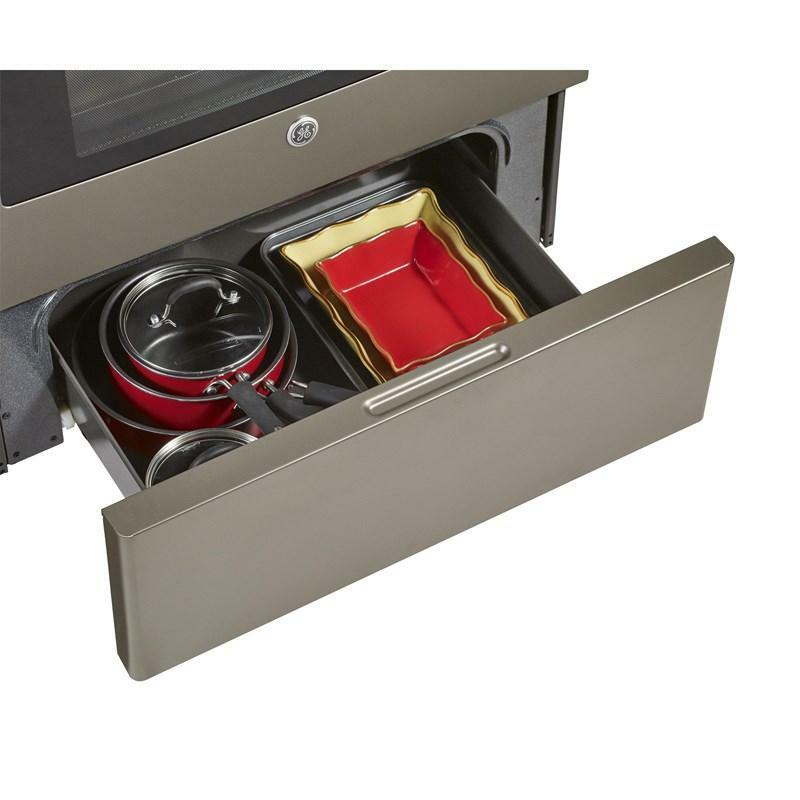 The range's CleanDesign™ upswept cooktop eliminates crevices which makes cleaning faster and easier. 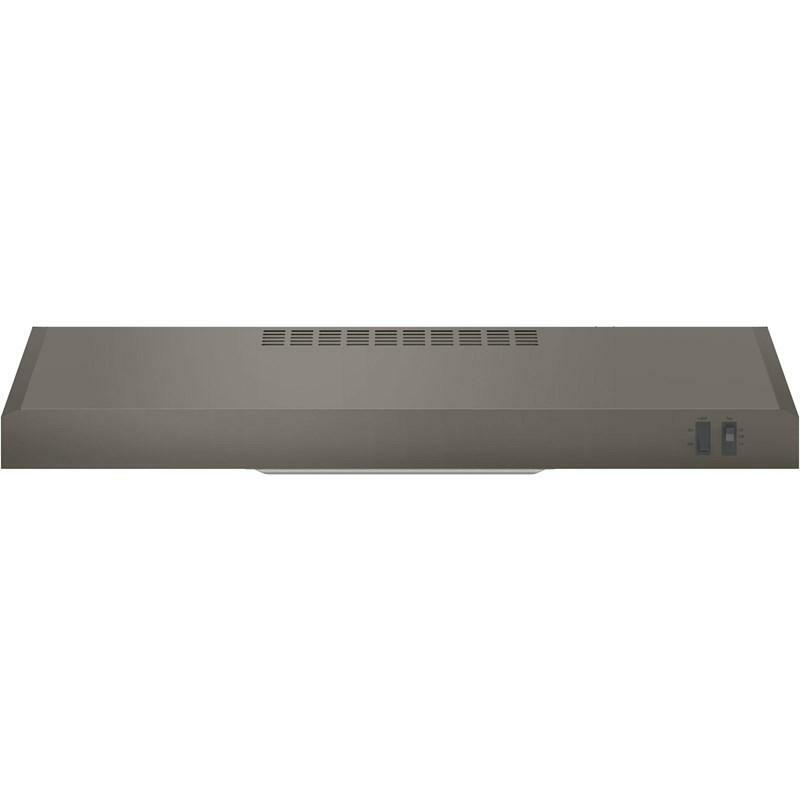 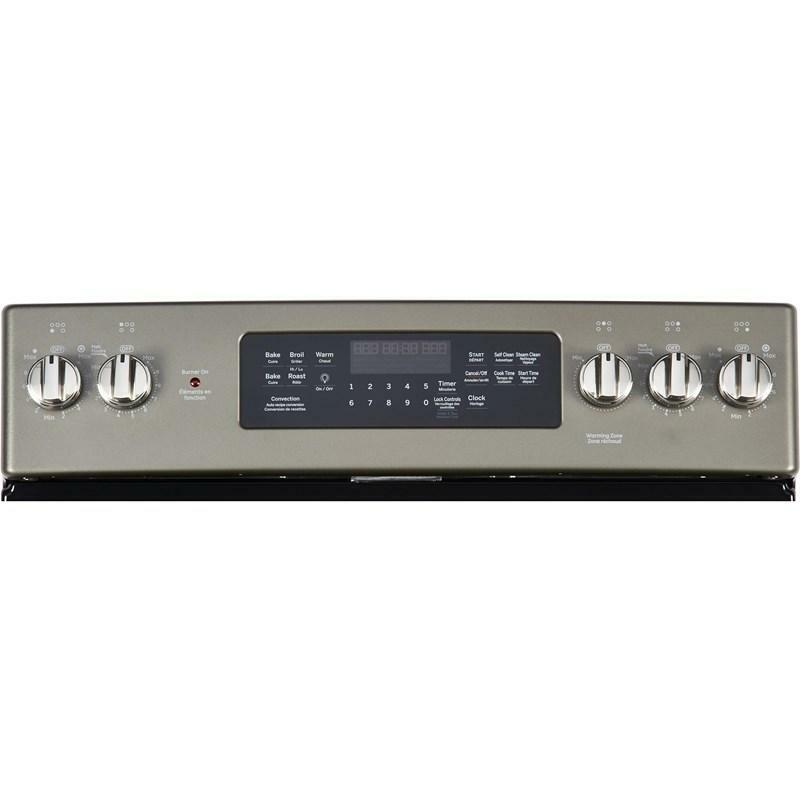 The self-cleaning appliance also provides True European Convection and audible pre-heat signal. 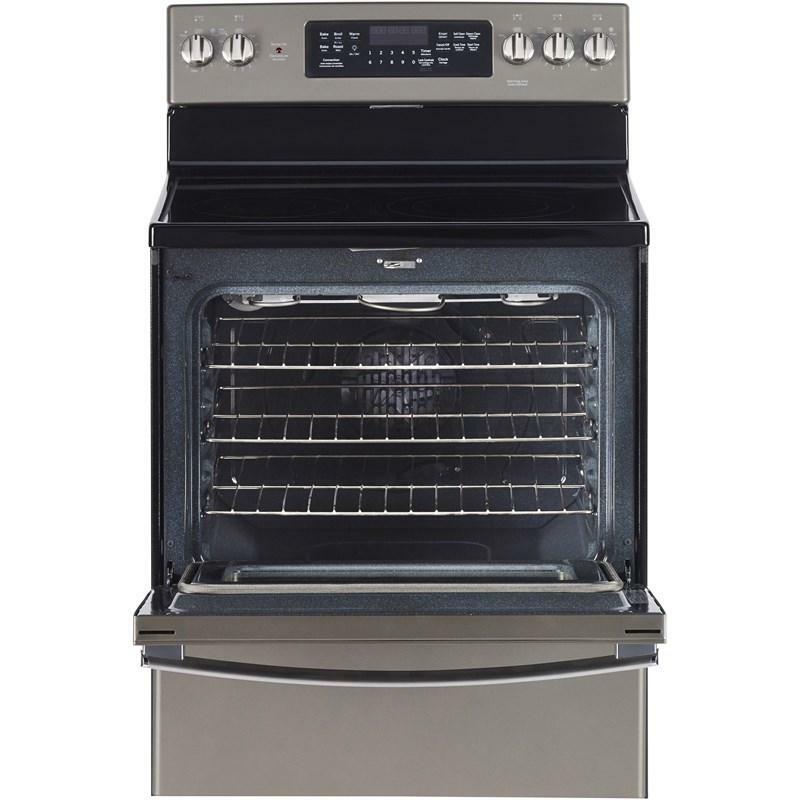 This GE 1.6 cu.ft. 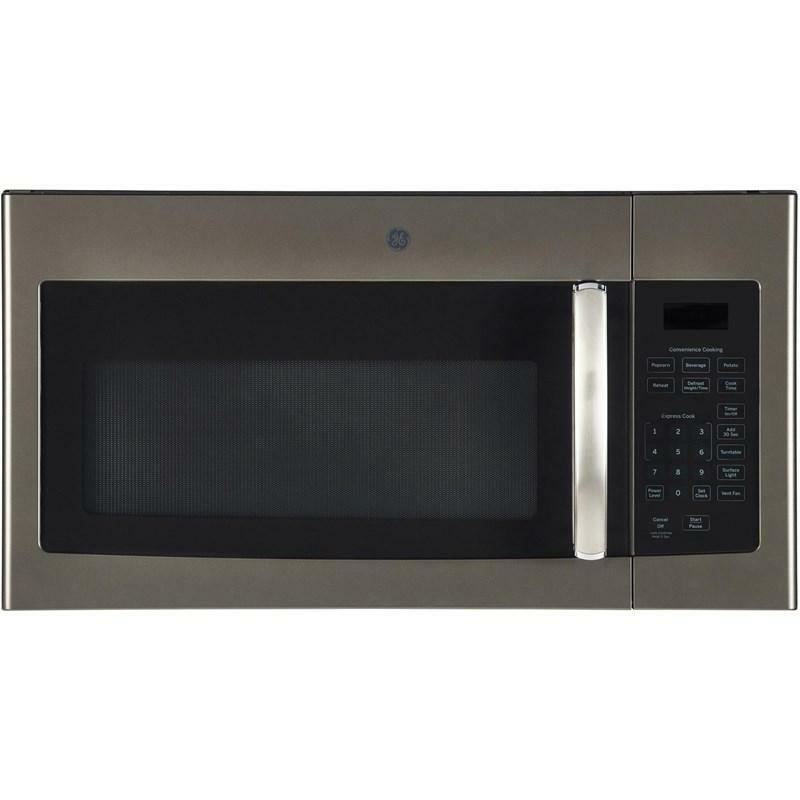 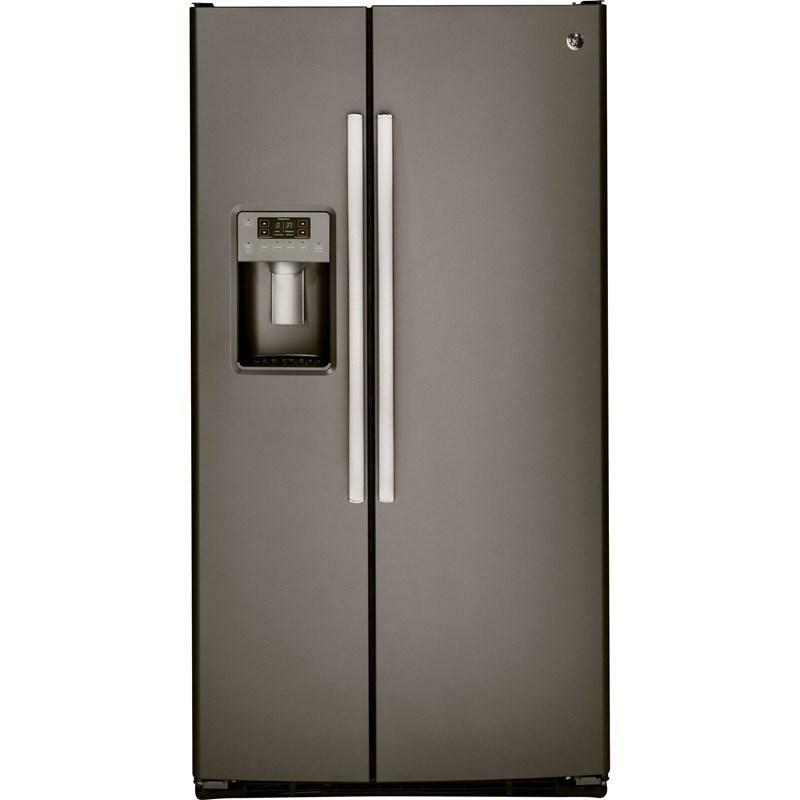 over-the-range microwave oven features ten power levels, 1000 watts of power, electronic touch controls and 300 CFM venting system.